Yard Signs from Banners.com are 30-50% less expensive than other Vermont Sign Shops! Benefits of ordering yard signs from Banners.com in Vermont? You can order high quality yard signs online and have them delivered to your home, business or church in Vermont in a couple of days. 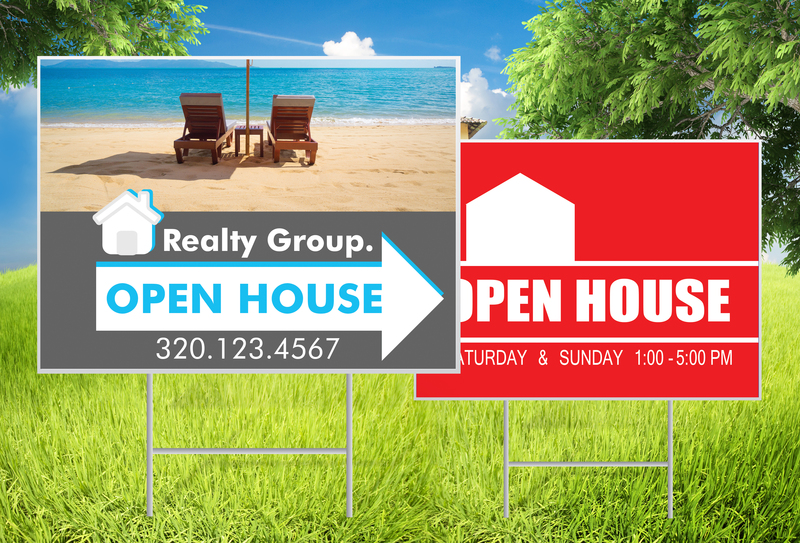 Some of the most common yard sign uses are political yard signs, sports yard signs, holiday yard signs, real estate signs, church signs, now open signs and other business signs.